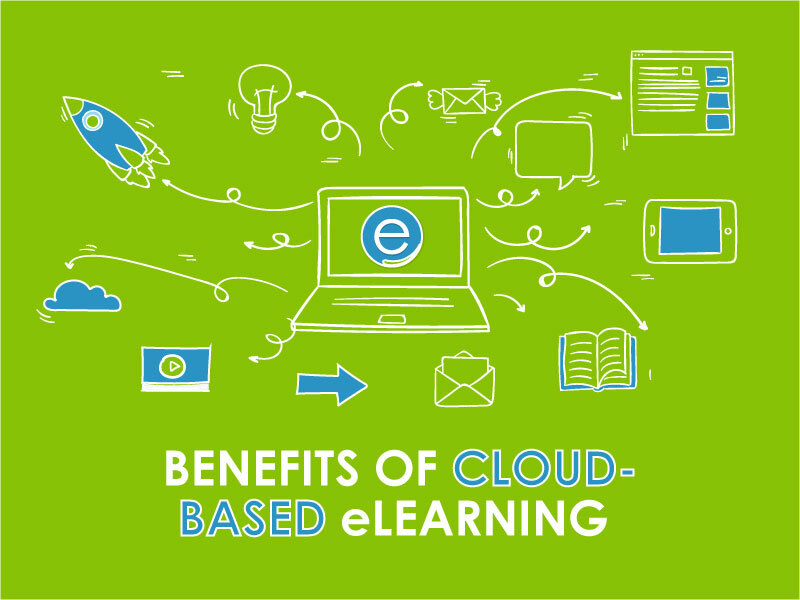 What is cloud based learning? Frankly speaking, it’s all about cloud computing. In fact, it can be compared to the Holy Grail of eLearning. What are the reasons for that? Such term as eLearning is actually used for describing a broad spectrum of education that is based on the Internet. Unfortunately, this translates into a big number of costs, too. Even though eLearning manages to break down the barriers that traditional education creates and provide educators a perfect apparatus for growth, it is important to mention that mass adoption is being inhibited by the maintenance responsibilities. The hurdle: Obviously, academic content is supposed to run parallel to the tremendous amount of new information. What is more, it must have the ability to eliminate its own archaisms on a regular basis. As a matter of fact, virtually all software cannot boast of this capacity that allows adapting this in a dynamic way. Thus, the integrations, installations, numerous system updates come with a rather high price. It’s no secret that in various academic environments, we can observe how a lot of reoccurring costs begin to accumulate in many computer labs, where a PC serves as a singular point that enables eLearning access. Taking into consideration the fact that eLearning content is constantly being stored on many individual hard drives, we can claim that the lab starts to form a decentralized system. As a result, decentralization definitely limits a big amount of eLearning content to a particular location. Apart from that, it requires administrators to perform updates that are necessary for legacy systems computer by computer. It means that they need to do this manually. Consequentially, the eLearning community is trying to transit to centralization, therefore it ties individual computers together in order to form a network that is unified. In addition, for laying the groundwork, it is essential for programmers to leverage the cloud. Undoubtedly, cloud computing gives eLearning providers an opportunity of hosting their proprietary software thanks to a centralized network. Apparently, the cloud gives users a chance of accessing eLearning content from any place where there is a network connection. To add, updates will never be a hurdle for the university computer lab. It is worth mentioning that software updates are considered to be an infrastructural imperative that increase quality and functionality of content. Can you imagine a world in which updates occur in an automatic way, being overnight functional from each and every access point? To tell the truth, such world exists and it is called cloud commuting. In fact, the cloud is able to centralize estranged systems, accelerating time to advertise or promote and totally getting rid of the manual roll out that is required by a decentralized system. The only requirement for administrators is running updates through the cloud, instead of taking part in the exhausting process of forming specific system updates beforehand. Consequently, administrators store and implement software, deploying updates and then stepping back. Thus, they can simply watch students accessing their content from anywhere. The architecture of cloud-based eLearning makes an immersive and enriched learning experience easier adding interactive features, in particular voiceovers and quizzes that are helpful in challenging the user’s insight into certain subject as well as level of retention. The lectures that have the major effect include group participation and checkpoints. We can take advantage of an opportunity to learn from the material presented as much as we do from our peers. What is more, the cloud enables remote collaboration: worlds apart can power through a lesson and work together on different projects. Probably the most compelling argument with regard to eLearning is its flexibility concerning education. It eliminates time constraints and geographical barriers. There is no doubt that for a growing population lectures could be groundbreaking because of the fact that they give students the power of manipulating their pace and provide teachers with an opportunity of increasing their sphere of influence thanks to various tools.